I've got a couple of really exciting gigs starting up in the next few days! I'll be working Saturdays doing millinery assistance at the Brooklyn studio of Cha-Cha's House of Ill Repute, helping produce their fall line of hats. I'll also be working at Parsons-Meares, one of the big Broadway shops, on costumes for DreamWorks' Shrek: The Musical, which will premiere in Seattle before moving to Broadway in the fall. I'm predicting that i won't be allowed to post anything about the Shrek costumes because of confidentiality clauses relating to an as-yet-unpremiered show, but I might be able to do a post or two on what we're doing at Cha-Cha's, maybe an interview with the lead designer or a preview of the line or something. 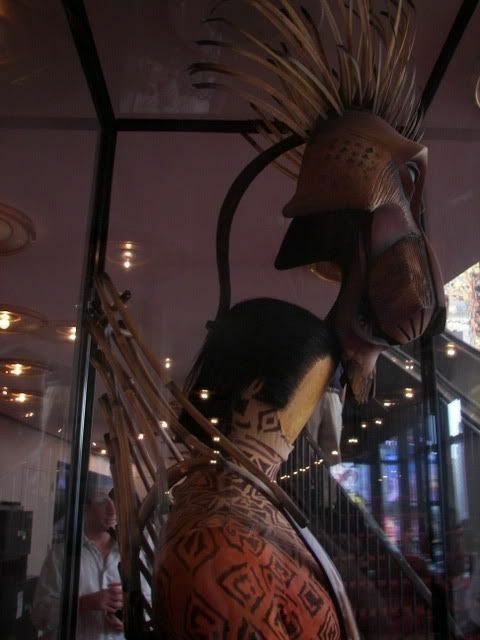 Today's post though is about The Lion King, which i saw last Saturday at the Minskoff Theatre in Times Square. 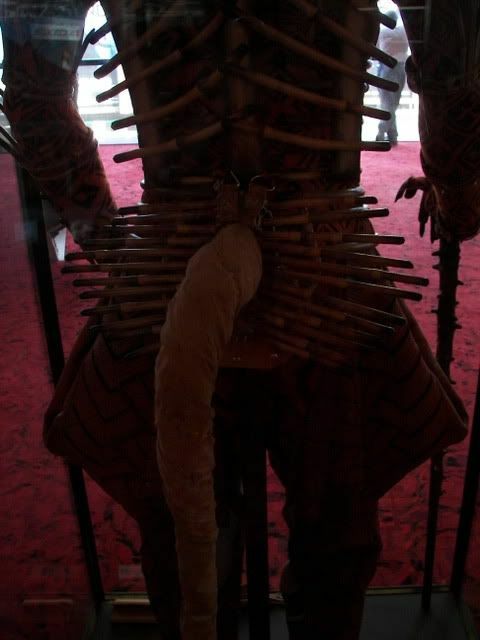 Not only is it a tour de force of innovative, fantastic costume and production design, but The Lion King is also commendable for how "open source" a lot of its costuming actually is. 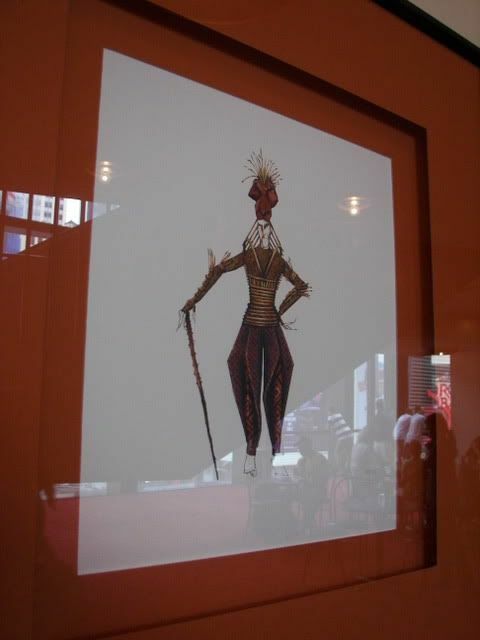 Julie Taymor's book, The Lion King: Pride Rock on Broadway contains a wealth of information on how the costumes and macropuppet elements were constructed--not only her design renderings, but drafts and diagrams created by the artisans who built them, materials and technique descriptions, photos of mockups, you name it. After poring over the pages on the construction of the articulated mask mechanism for Scar while developing our Fox in The Little Prince, it was exciting to see the real thing in action. 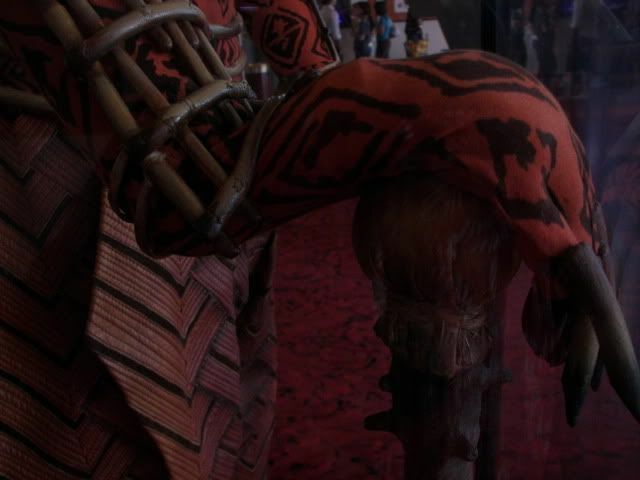 Even more exciting was the lobby display of Scar's costume (among others), which patrons were allowed to photograph! Parsons-Meares, the shop where i'll be working for the next few weeks, builds the body of Scar's costume. Michael Curry Design builds the head/mask rig. (Remember my post on bidding on jobs? Individual artisans aren't the only people who bid--commercial shops bid on jobs as well.) 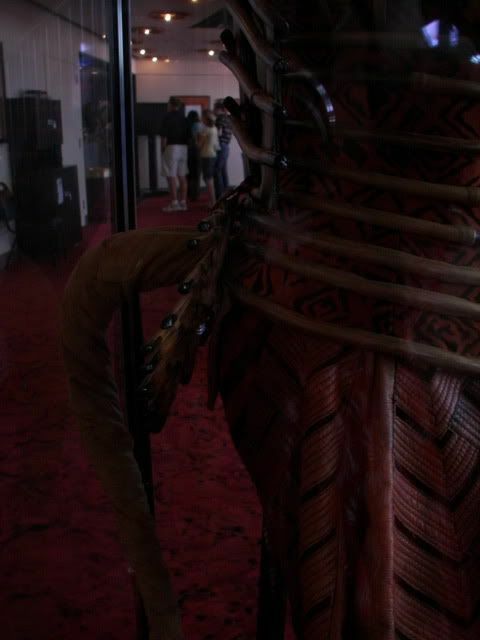 The big Broadway shows aren't all built by one shop (usually), the costumes are split between shops that win the bids, so you sometimes have a situation like Scar, where part of the costume comes from one place and part comes from another. 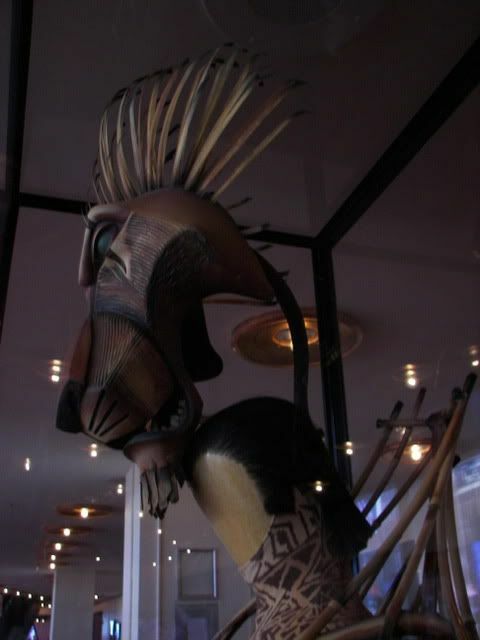 Michael Curry Design has a lot of Lion King's pieces, particularly the high-engineering stuff like the masks and the mechanized puppets. 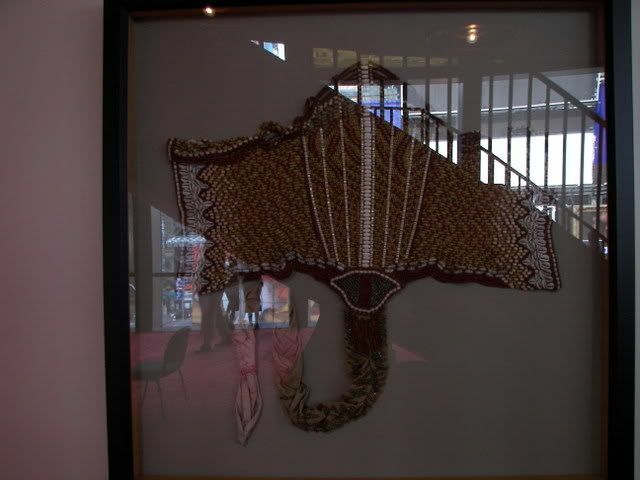 Parsons-Meares has a few other pieces as well, such as Rafiki's costume and some pampas-grass people. Several other shops have other costumes in the show--i believe Barbara Matera Ltd. does the hyenas, for example. When a shop wins a bid on something, they usually have an ongoing contract for it, making new replacements if it is damaged or worn out or the role is recast, and replications for tours or premieres in other cities. Parsons-Meares has now made enough repeat versions of Scar's costume that it's shown up in several portfolios of prospective grad students, folks who worked on it in some capacity at some point in the past 10 years worth of the show's run. I'm so thrilled to have FINALLY gotten to see this show. 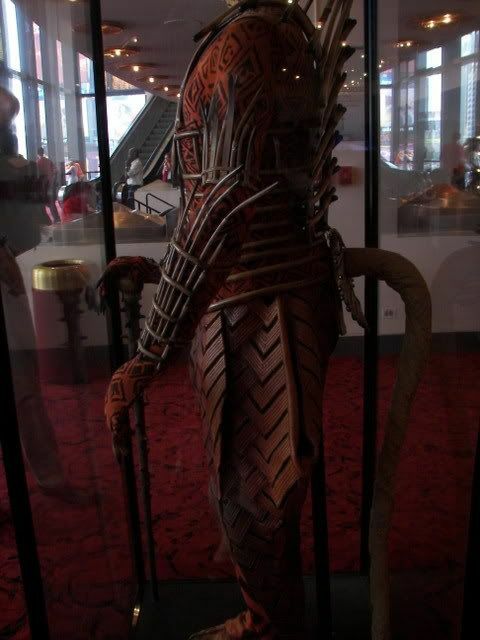 I've read about it and studied its costumes for years, in print and up close on a backstage tour. Having worked on a remount of an earlier Julie Taymor show (The King Stag at the ART), it was exciting to compare her earlier work with this production. I spent a lot of the show literally weeping with joy over wooby dorky things like the elephants and the giraffes, just observing them in motion and witnessing the artisanship that went into them. Yeah. lmao i know just how you feel, i LOVE that show. i've worked on both US tours of it doing makeup and it's still my favorite show out of everything i've ever done. there is something so magical about her costume designs for that show. oh! 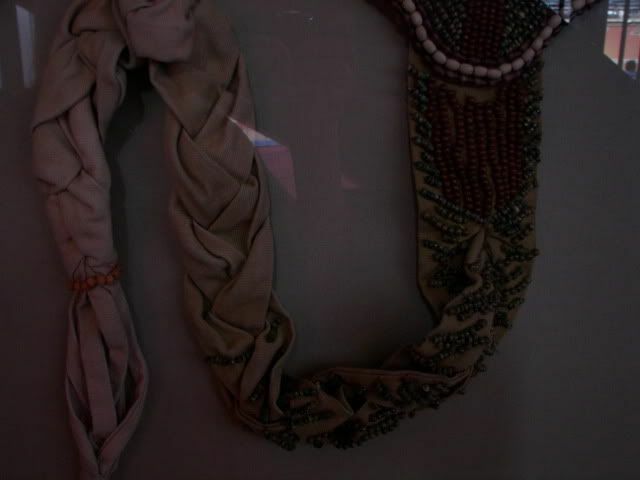 i've got photos if you'd like some more of different things close up. a few of puppets backstage and then several different characters up close in makeup. a few like scar and older simba have their heads on and timon is in his rig minus puppet. I would love to see those pictures, if you have a link to them or want to just paste them into a comment or something! Small world, i worked on some of Constance Hoffman's The Grand Duchess of Gerolstein at the LA Opera. Though i was really excited to get the job i have in NC when i got it, it was sad to leave the LA Opera before that show opened, and before they began working on Julie Taymor's Grendel, which looked amazing, what i saw of it in photos. oh wow! i would have loved to see that too!!! i've done a few shows with Constance and really love her designs. a lot of people think she's difficult to work with but we get along rather well. she's really intense and knows exactly what she wants. personally i like that in a designer......and the fact that she does a lot of really dark designs. about 5 years ago she did a fabulously dark version of hamlet at the alley theatre. it was stunning!! it was never stated but implied that possibly the entire cast was dead. every costume in that show just made me quiver. but i built the coolest wig ever for it.
. .. .. ... .. .. .
Sarabi's costume and the Cheetah costume are also another one of my favorites. I actually love all the costumes; it's hard to say which one I wish I could keep in my closet!